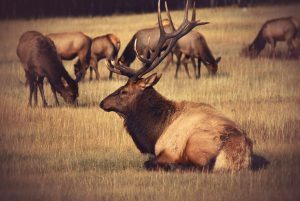 It’s mid- August and tourists flock to our town for to see our abundant wildlife, including our moose and elk. We often get interesting questions about the relation between elk and moose. We decided to point out a few of their similarities and differences so you can be clear on who is who. First of all, elk and moose are both a part of the deer family (Cervidae). They both have antlers that shed from November to March, they are both hunted for their meat in Jackson Hole, and their tracks are similar. There are, however, some key differences that make them easy to distinguish. 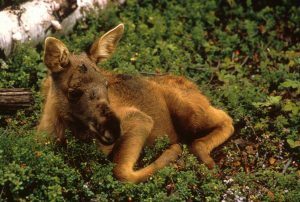 Moose are a chocolate brown color whereas elk are a light brown with a darker brown neck. Bull moose have a waddle on their neck and their antlers have flat pads in the front and traditional pointed antlers towards the back.. Stags, or male elk, have several pointed antlers. Size wise, they are similar although moose are traditionally bigger than elk. Elk, however, are much more agile than their moose friends. Elk tend to hang with groups, whereas moose are traditionally by themselves unless there is a young one with the lady. Elk and moose have similar tracks, but moose have a more hearted-shaped hooves and elk have a more tooth-shaped track. Furthermore, because moose are heavier, their prints are deeper. 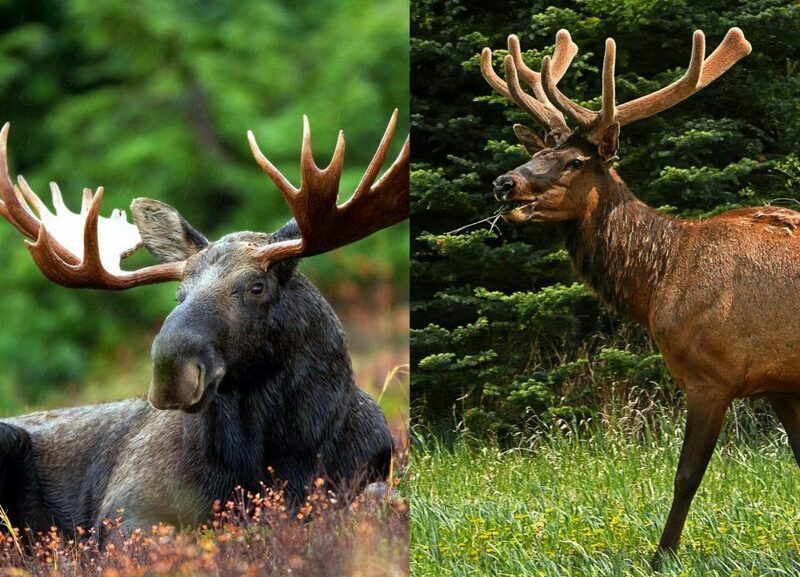 The noses of both moose and elk are different as well…moose are more rounded, elk are have more pointed noses. They are both magnificent animals to capture in the wild of Jackson Hole. Knowing where to find them with so many people in town is definitely a trick. Our Bear Witness guides have a few of those tricks up our sleeves. Give us a call and we can point on the difference between moose and elk on our private tour. This entry was posted in Uncategorized on August 16, 2017 by gliffen.